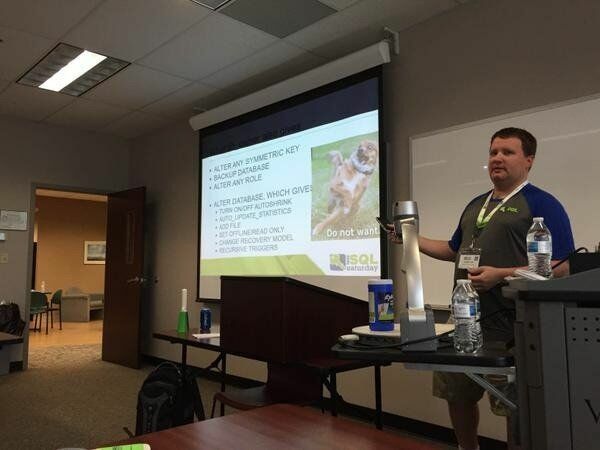 I traveled up to the great state of Indiana for SQL Saturday Indianapolis this past weekend. My session went well, except for the demo. I performed a SharePoint 2013 install using PowerShell but the installation didn’t finish. The most likely reason is that the virtual server host was busy (disk I/O). Oh well, the process had completed some steps and I was able to show databases without the GUID – which is kinda the point. 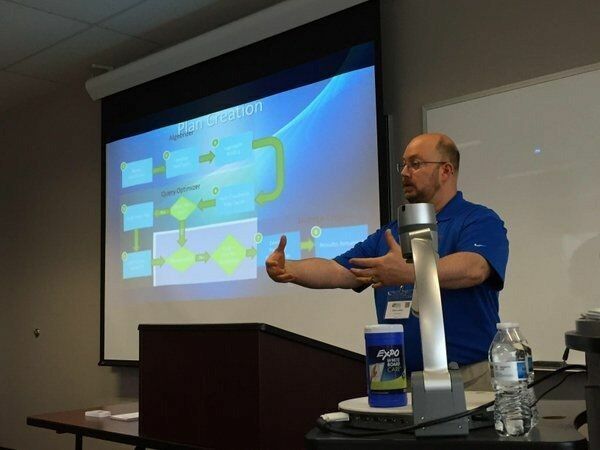 I also attended Mike Lawell’s Execution Plans for Mere Mortals session. 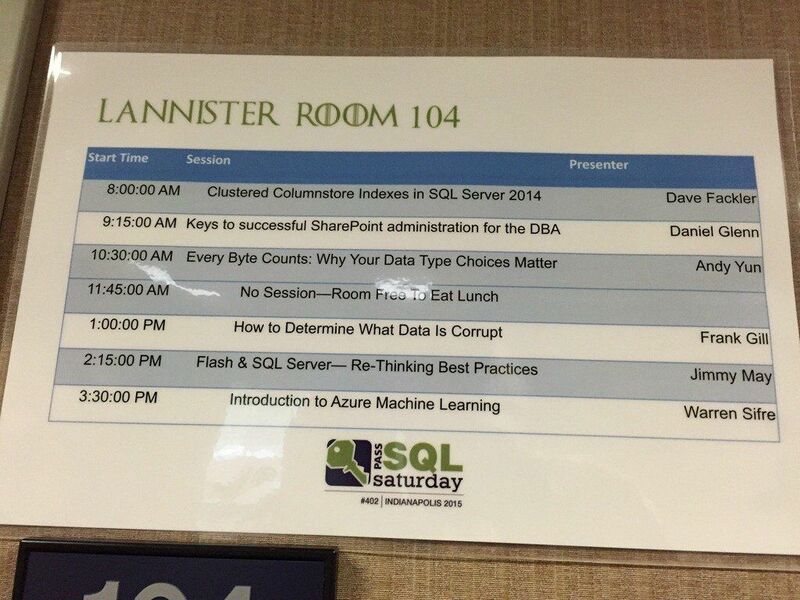 A lot of the information was new for me, but that is why I love going to SQL Saturdays – I stretch my knowledge. Right after Mike’s session, Robert Verell gave his second session of the day, Know Your Role(s)! One of the things Robert talked about was not giving db_owner rights to accounts. Which came up in my session when Robert asked if SharePoint service accounts, namely the Farm account, can have the db_owner rights removed from databases. 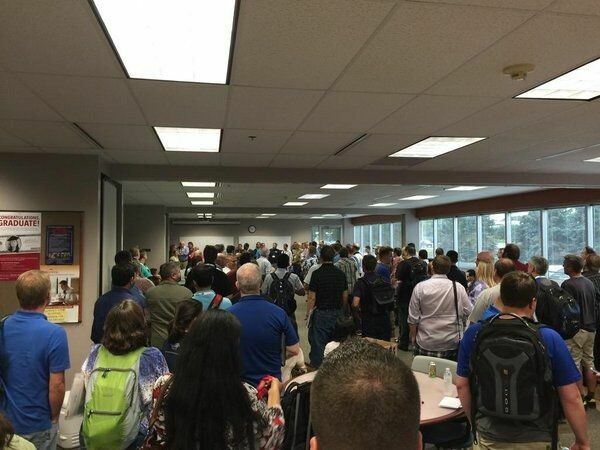 Special thank you to Hope Foley and the rest of the #SQLSatIndy team – it was a great event! I hope to be able to make the event next year.